A freshly made breakfast is served daily from 7 - 9 AM or you can choose cereal & fruit. Homemade baked items are offered in the dining area throughout the day for your enjoyment. 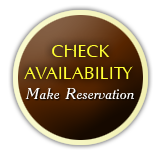 **If you have a food allergies or restrictions please advise in your reservation and we will do our best to cater to your needs.